This article is designed for people who have either decided to buy an above ground pool or are considering buying an above ground pool, but don’t yet know what size and shape is best for them. This will, in part, be influenced by where in the yard you place the pool. The first question you should ask yourself is "why am I getting a swimming pool?" If you are getting a swimming pool because you just want something to cool off in on hot days, consider a smaller pool like a 15 foot or 18 foot round pool. These are typically much less expensive than bigger pools, and given their size, allow more flexibility for where in your yard they can be set up. If your needs are more along the lines of exercise—such as swimming laps—you’ll need one of the larger round pools or a large rectangular or oval pool. Family users should typically allow approximately 15 square feet of water surface for each potential swimmer. In all likelihood, the ultimate size you choose will be dictated by any existing space constraints, as well as the cost of the pool. 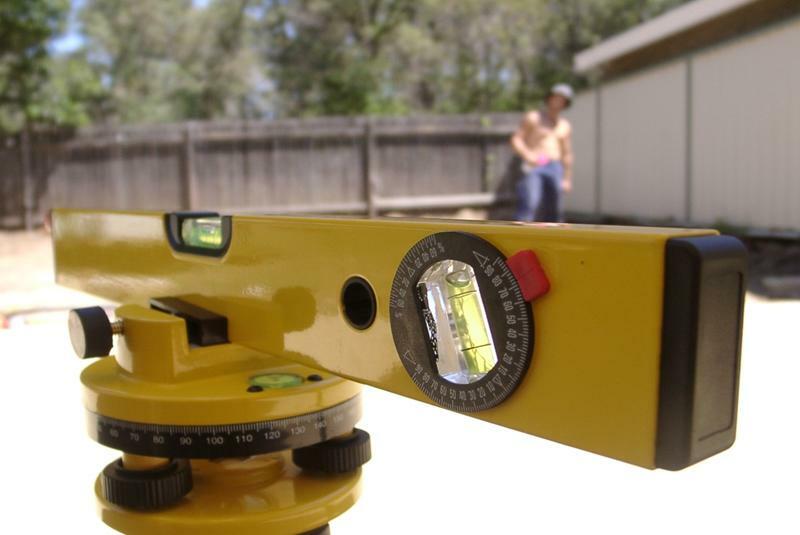 Start narrowing down which swimming pool is for you by surveying your yard. You will want to find an area that will physically be able to accommodate a pool, but remember that the ground will need to be level in order to install the above ground pool. You can always level the ground yourself later (or hire a professional to do it), but consider the additional time and expense of doing so if the area is especially uneven. To accomplish this part of the process most effectively, PcPools recommends using a measuring tape and a tool to mark your measurements (e.g. spray paint, chalk, colored sticks). For a decision like this you will want to do more than simply "eyeball it." It is also a good idea to check for any zoning restrictions in your area before finalizing your choice for the swimming pool’s location. If your pool ends up too close to the property line you may run afoul of local zoning laws and be forced to take the pool down or pay a hefty fine. Once you have one or more areas of your yard picked out for installing a pool, the next step is to consider the areas’ proximity to your home. This is important for a few reasons. One, you will need to provide electricity and water to your pool, so your ability and willingness to run hoses and cords to the pool should be considered. Two, experience suggests that the further your pool is from your home, the less likely you will be to use it. While you may not think 30 or so yards makes a difference, children and guests—and even you—will feel like it’s less work and effort to go swimming when the pool is right outside your door. 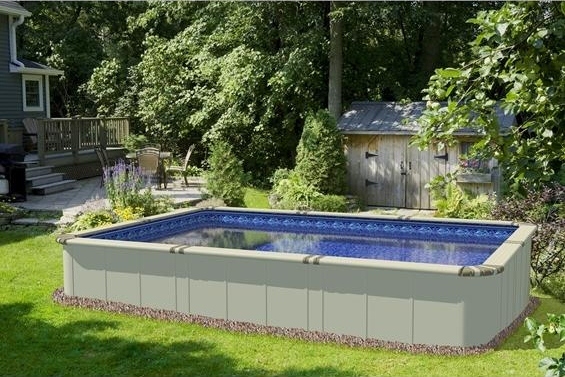 After answering those questions, consider the "extra" space your swimming pool will take up. Most above ground pools require an extra three feet of clearance on each side (or all the way around) to accommodate the supportive uprights. For example, an 18 food round swimming pool will require a total of 24 feet of space. Other "extra" space requirements you must consider are the location of the pool ladder and the pumping system. Beyond that, there are a number of optional items that many homeowners choose to add to their above ground pool setup, all of which take up additional space. Consider decking, fencing, a heating system (solar, gas, or heat pump), and related amenities such as a stone or wood patio, a storage unit for pool equipment and accessories, and eventual landscaping installations. While you may do all or none of these things, the important thing is to consider leaving room for "expansion" should you need it. Consider, for example, a customer who needed to build a shed to accommodate solar panels because his pool was too far from his home and the ground surrounding his pool walls did not get adequate sunlight. Luckily for him a solution was available. That won’t be the case for everyone. The final thing to consider before choosing the spot for your above ground swimming pool is the surrounding vegetation. Trees and bushes near your pool can be a mixed blessing: they provide natural shade and wind cover, but their proximity to the swimming pool will result in increased maintenance. Weigh the potential benefits of shade and cover against the increase in leaves in debris falling into your pool, and decide what is best for you. Now that you’ve selected a space and have a good idea about the size of above ground pool you are getting, go back to the area you selected with a garden hose or rope. Using any previous marks and a measuring tape as necessary, lay out the hose or rope to match the walls of the pool. This will give you a good visual and should help you further narrow down which pool is best for your yard. PcPools strongly encourages you to do this because many above ground pool owners will attest to wishing they purchased a larger pool than the one they ultimately selected. This should help you avoid that regret. Good luck, and happy pool hunting!